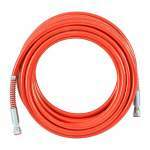 Maximum working pressure of 3300psi. 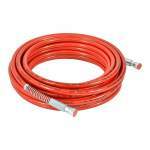 Spraystore 15m x 1/4' airless hose, suitable for all airless spray systems. Temperature range: -40 degrees to +93 degrees centigrade.